It’s just a matter of time before The New Nationalist (TNN) makes it onto some contrived list of “haters.” For all we know, it already is. Bring it on. Accordingly, TNN wishes to make it very clear exactly what and who it is it hates. But first, it’s vital to use language correctly and not some NLP-concocted version. This is how we use the word “hate.” We consider it an essential element of humanity’s preservation. I present for your consideration two videos: one of “counter-protesters” taking down and vandalizing a Confederate soldier statue in Durham. Yes, TNN, hates all these untermensch cretins with a passion. But, curiously, notice that most of them are white. Therefore, our hate is not based on race or ethnicity but rather behaviors and merit. A second example is a classroom in which a humongous anti-white black-untermensch instructor goes off with an insane stream of vile agitprop. Again, look at the lemmings in the audience. Yes, some here may wish to pretend these are Jews, but unfortunately we know better. They are whites, not blacks. Inquiring minds would like to know: Who hired this hideous cretin, Ashleigh Shakelford? Was taxpayer money spent? The video is being pulled down, but it’s available for right now [below] from minute 1:05 to 3:34. 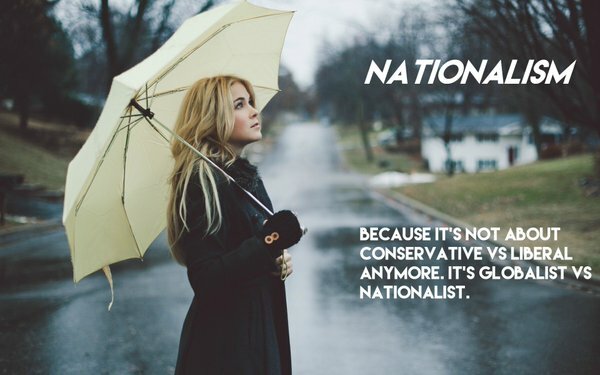 To be clear, TNN is sanity-nationalist, not “white nationalist” nor “white supremacist.” Sanity nationalists are wide awake about anti-white slurs and inversions and won’t stand for it. We hate the insane. We hate untermensch. We love ubermensch. Sanity nationalists are pro-white in the sense of being uplifting and protective — but untermensch whites are excluded. At this stage, there are many whites in America who are hardly supreme or high culture. In fact, they need to be caged off and segregated into their own Ghost Ship satanic hell away from the sane. There, they can conduct crocodile-tear charity scams while their world burns down around them. In fact if there is white privilege it is in the form of being bought off by the DoD, DoJ, DHS corrupto system. Jews are the biggest beneficary, but so are whites, who are the soldiers, minions and errand boys of the military-industrial police state and warmongering racket. If you notice who is most involved in the staged deceptions, it ain’t blacks or people of color. The 5th Column underworld whites involved in this skulduggery are far from making the sanity cut at this point. Yes, there is also a brood of insane black and Jewish enemies and untermensch as discussed in our XXXTentacion post, but what to do with the “Insane White Question”? This untermensch will be the enemy for several generations to come. For some, there may be longer-term hope in re-education, but the prognosis is grim. Meanwhile more whites are dying in the United States than being born. Whites who are not untermensch need help and allies. Find them among the ubermensch of all races and creeds. In closing, I offer you a black man who can make my Sanity Nationalists Team cut, anytime, anyplace. TNN welcomes with open arms the great black comedian Terrence Williams as an ubermensch sanity nationalist brother. This rant is perfect, and he never used the F-word once. Bravo! ?STOP TRYING TO HAVE A RACE WAR! ALL Y’all need to Go To Bed! Edmund Burke’s statement “The Principle of Religion is that God attends to our actions to reward and punish them” is in agreement with the Jewish idea that “fear of god is the beginning of wisdom”. This idea of god “as an avenger and paymaster” as Schopenhauer put it, obviously does not inspire virtue (the absence of pure virtue in Christianity was also pointed out by Voltaire and the National Socialist Chamberlain). Ecclesiastes is not a reliable authority or justification for hatred. The Jews picked up all manner of superstitions (i.e. pantheism in Eccl. 12:7) and added it to their own knowledge. Yes, the people must learn to hate again, as they have been worn down by sentimentality, emotional immaturity, excess regard for humanitarian notions (such as pacifism, liberalism, human solidarity, democracy), and a perverse anti-biological regard for foreigners over their own people (this is seen in how Christian missionaries abandon their own people and attend to foreign affairs, as pointed out by Martin Luther in a 1514 letter and by Hitler in Mein Kampf. And that is why Goebbels said, “Both (Judaism and Christianity) have no point of contact to the animal element, and thus, in the end they will be destroyed.” Because to first attend to one’s own folk is natural and to neglect one’s own folk is against nature). But then it must be the right kind of hatred. Anti-Semitism must necessarily be it’s driving force and energy, it’s be all and end all. This rings close to the original meaning (as revealed in the 1942 publication Der Untermensch and in Hitler’s private philosophy about people being overburdened with sentimentality and humanitarian notions “falling below the level of the animal”), but I must point out that to defend people from the moral accusations of satanists is to become a moralist oneself. That is why I refrain from attacking Muslims, negroes, and immigrants and I consider people who prioritize these elements over Jews to be reactionaries. It is strictly the Jew I have a quarrel with. In Mein Kampf, Hitler emphasizes the necessity of winning over the deliberately anti-nationalist minded folk, including Communists and Protestants. The only ones who should be excluded are Jews. In nearly all other cases, exclusion breeds avoidable hatred and resentment. What the National Socialists considered doing with communists was sending them into Soviet Russia so they could see for themselves what their “paradise” looked like. The anti-nationalist elements in America merely need to see democracy for the sham it is and this does not require such an expulsion as proposed. A Jew can never be rescued from his fixed notions, but the masses can be won over with time and effort. It just requires a national government to be instituted. Worth pointing out that Hans Zimmer himself said that he was Jewish, but nonetheless it’d be bad taste to hate a composition due to ideological conflict. Excellent rendition. Interesting. Man taunts trump with a picture of him and pedogate Jeff Epstein. God Bless this guy, top commenters are delusional and don’t know who Epstein is. Tan Staafl, in my opinion, has the best understanding of this topic. “Pathology vs. Pathogen”. One would need to listen to a series of podcasts by him in order to fully understand his position. I believe it is worthwhile. Yep, and truth be told it is a bunch of old, rich white guys who came up with the “Strategy of Tension” in the first place. These stupid white liberals(commies)who participate in all this anti-white hate have no idea they are nothing more than brain dead pawns in this game for their own destruction and the loss of any form of true freedom they have left.